September is the month in which we celebrate Labor Day and the end of summer with a three-day weekend. Labor Day, which became an official federal holiday in 1894, is a day set aside to commemorate the American labor movement and the struggles, conversations, and compromises between employers, employees, and the broader society, that led to things we all sometimes take for granted, like the 40-hour work week, safe workplaces, and the grand bargain of workers’ compensation. It is an important holiday on which to honor the contributions of workers in keeping our economy and society humming along.In that connection we are pleased to announce the achievement of Katherine O’Brien who was recently voted in as an Associate Partner of Mullen & Filippi. 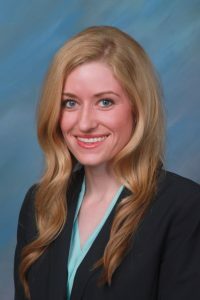 Katherine joined Mullen & Filippi as an associate attorney in March of 2016, working in our Riverside Office. Katherine brought with her extensive experience as a defense attorney. During her tenure she has represented the interests of insurance carriers, self-insured entities, and the California Insurance Guarantee Association and has appeared at numerous WCAB district offices throughout the Los Angeles, San Diego, and Inland Empire regions. As a native of Southern California Katherine enjoys outdoor activities. For further information as to our latest Associate Partner please click here. On 8/23/2018 the California Supreme Court published a decision in the King v. CompPartners case declaring that the workers’ compensation system was the exclusive remedy available to an applicant who suffered seizures after Utilization Review deemed the Klonopin he had been taking since 2011 medically inappropriate. The applicant had sought compensation in tort and had named the Utilization Review provider and two employee physicians in a suit for medical malpractice. The Court noted that the “compensation bargain,” whereby the employer assumes liability for industrial personal injury without regard to fault in exchange for limitations in the amount of the liability is at the core of the workers’ compensation. The Court discussed the variety of situations within the workers’ compensation system in which an employer is obligated to pay for injuries caused by treatment and other injuries derivative of a compensable workplace injury and then stated clearly that the workers’ compensation system exclusively provides remedies for compensable work-related injuries such as that suffered by the plaintiff in King. If Utilization Review physicians were found to have a doctor-patient relationship with an injured worker and could be subject to tort liability, it would have brought into question the viability of the Utilization Review process. The Court instead extended the exclusivity provisions of Labor Code 3600 or 3602 to utilization review organizations acting on behalf of employers, in line with its prior decision in Marsh & McLennan Inc. v. Superior Court, which extended exclusivity to third-party administrators. The high court in its ruling establishes that carriers and employers can be liable for additional injury caused by Utilization Review decisions, but that such liability must be determined exclusively within the workers’ compensation system. It appears likely that if the Utilization Review process is to be challenged on a wide scale at this point, it will be at the legislative level. In a dispute over whether or not an injured worker was entitled to a SJDB voucher, a panel of commissioners recently discussed the different roles of the Administrative Director (AD) and the WCAB. In Dennis v. State of California/Department of Corrections the AD failed to respond to a dispute resolution filed by the applicant and a WCJ denied the benefit by finding the failure to respond a de facto denial that had not been timely appealed. The WCAB found the WCJ was in error, and indicated that the AD does not have the power to decide a controversy regarding recovery of compensation under Labor Code Section 5300, which clearly provides the WCAB with the exclusive jurisdiction to adjudicate disputes regarding the recovery of compensation. There may be the need for a higher court or the legislature to clarify the role the AD plays in SJDB and UR/IMR issues as there is currently a lack of certainty as to the role played by the AD when a dispute arises that requires possible adjudication. Autumn is upon us and we welcome the change in seasons. Throughout the year there have been several changes in Workers’ Compensation that are quite puzzling. We invite you to attend our Fall Seminar series to Master the Workers’ Compensation puzzle. Part of the puzzle pieces you will receive include an Inside View of CAAA 2018; Moves of the WCAB; Roadmap to Early Resolution and the Non-IBR Dispute Process. By the end of the afternoon, your puzzle will be complete providing you with the tools necessary to defend your claims. Invitations will be emailed to everyone on our mailing list in a few weeks. If you aren’t already receiving the M&F Bulletin, join our mailing list by clicking here.